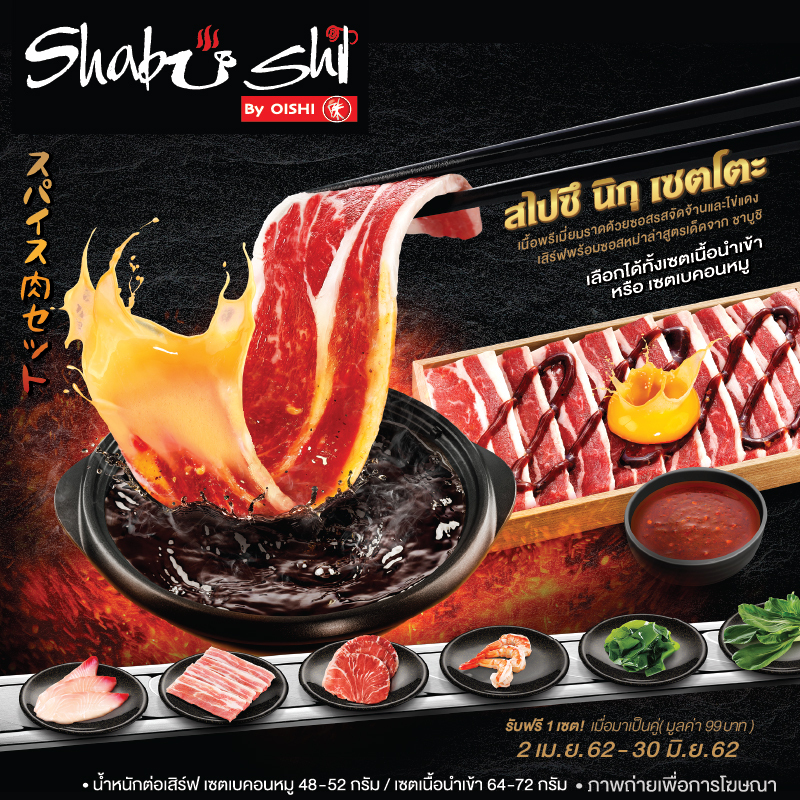 Shabushi Buffet operated the first branch on G Floor, The Mall Bangkapi, on 28 December 2001. It marks an indivisible integration of 2 well-known Japanese-style foods. 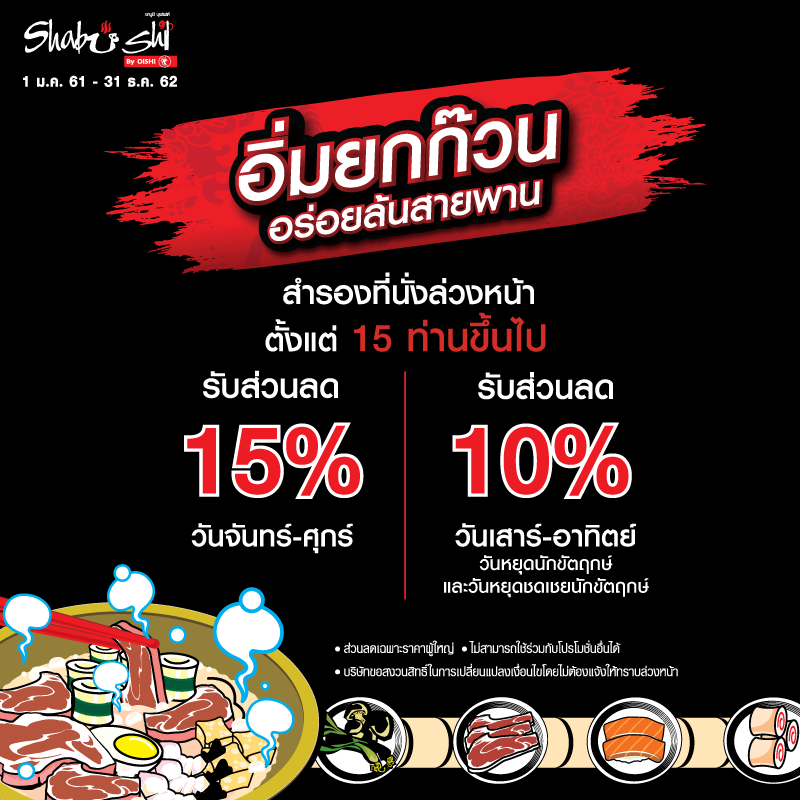 You can enjoy Shabu Shabu, a Japanese hot pot, with various sushi. High-quality ingredients are specifically selected. Also, our cooking process mainly concerns proper hygiene. Beef and pork are from livestock kept in a closed farm and the processing procedure follows the export standard. Our fresh vegetables and fruits are non-toxic, as we value the quality of life of our customers. 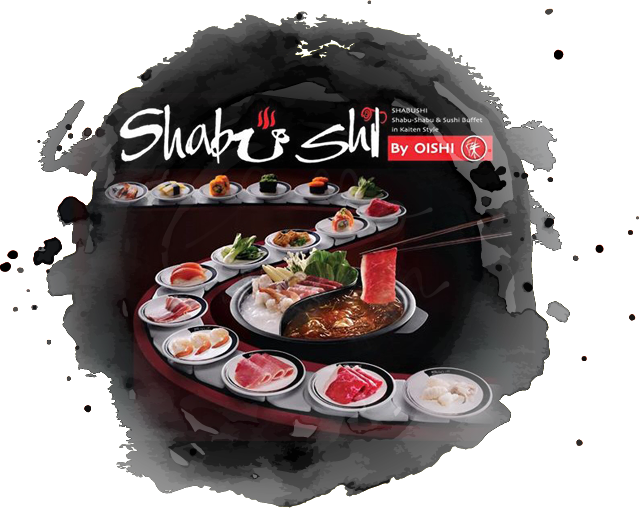 Shabushi provides buffet service for you to savor 2 types of deliciousness for as long as 1 hour 15 minutes. The food is conveyed on the belts for your own selection. Beef, pork, chicken, shrimp, and Salmon Stomach are rotated in Kaiten Style around the restaurant. Sushi Counter and Ready-to-Eat Counter are also provided. You can enjoy Shrimp Tempura, Breaded Shishamo (fish with roe), and Grilled Saba Mackerel. Moreover, Drinks, Fruits and Assorted Ice Cream Counters are ready to serve you. Enjoy more 80 dishes and select from 3 different types of soup. ⌚ You can enjoy for 1 hour and 15 minutes.